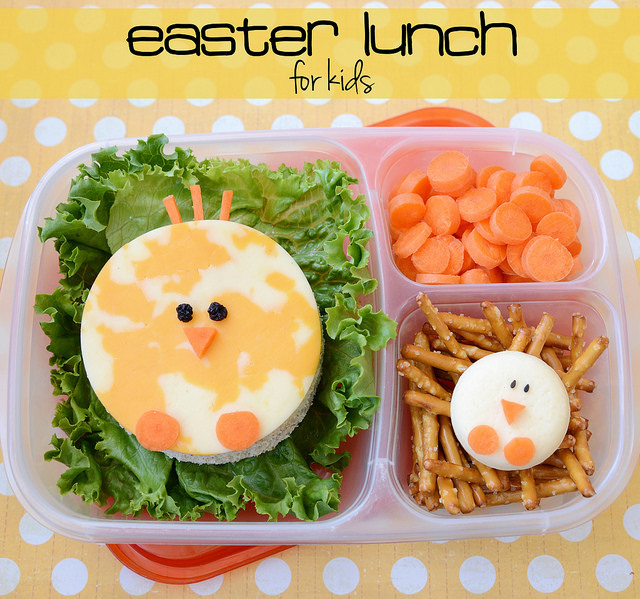 Easter is sneaking up on us and I find myself looking for some bunny inspired lunches. 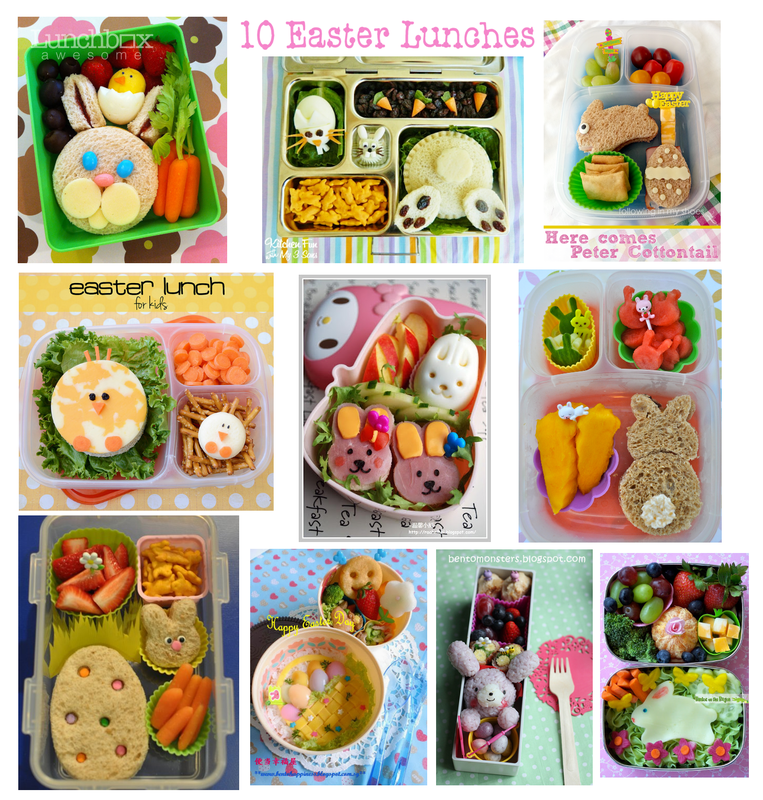 I put together a list of a few of my favorites from easy to intricate you’re sure to find a few ideas to sneak into your lunch box in the next couple weeks. 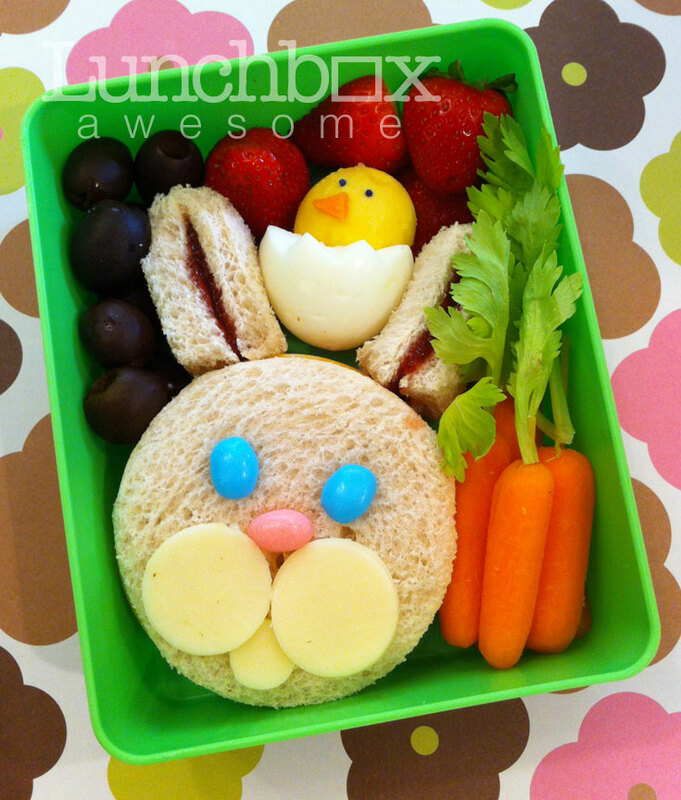 Carefully decorated bunny shaped sandwich from Lunchbox Awesome. Who says easy is just for bunnies. These cheesy chicks from Meet the Dubiens are simply adorable. 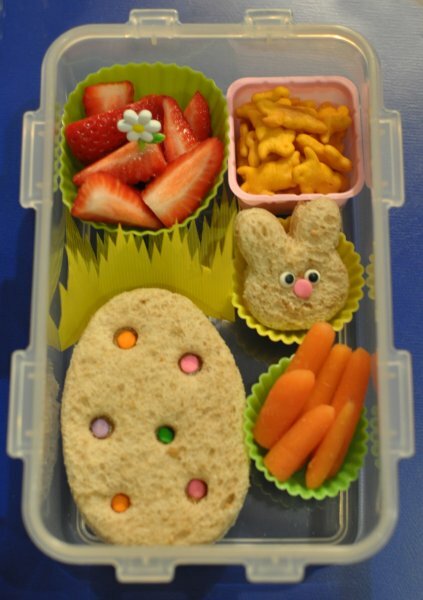 Bento Diva knows that everything is better with sprinkles, especially this egg shaped sandwich. 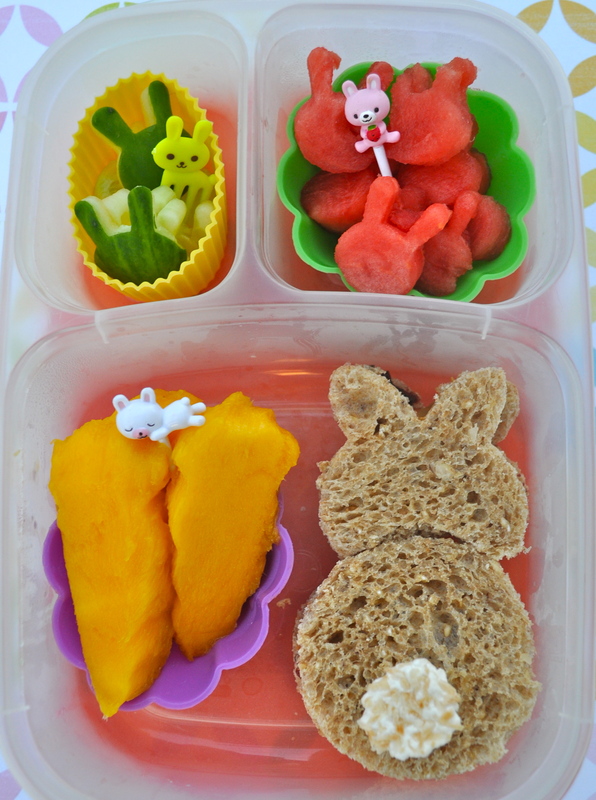 Who doesn’t love bunny tails like this lunch from Bentoriffic? Candy eyes aren’t just for Halloween. A simple touch to this bunny cutout from Following in my Shoes. 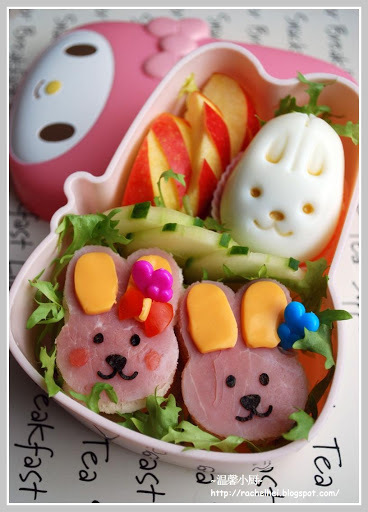 Rachel Hei used the Bunny Egg Mold that is one of our favorites, we’ll be using ours for sure. More bunny tails, ‘cuz they’re my favorite. 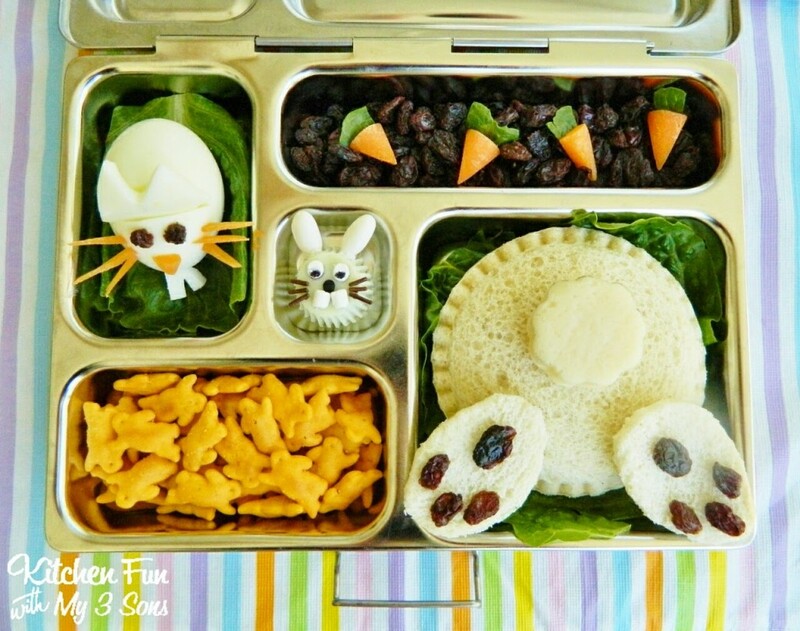 Kitchen Fun with my 3 Sons made great use of the wider space in the Planet Box Lunchbox. 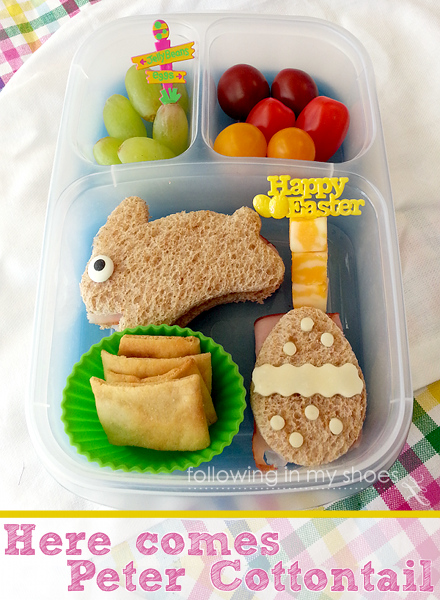 Bento Happiness is weaving some love with this basket inspired lunch. 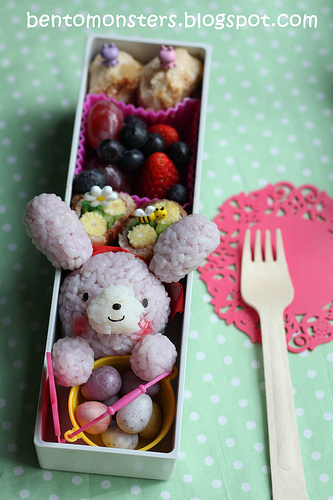 Bento Monsters is way better and shaping rice than I am. I love this bunny anyway. 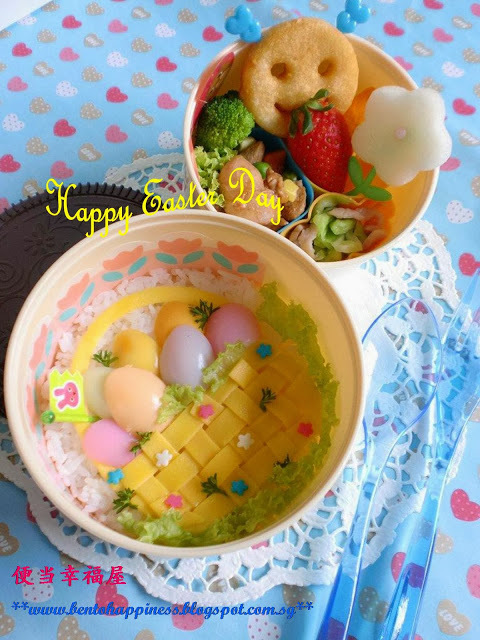 This bunny garden from Bentos on the Bayou is almost too pretty to eat. 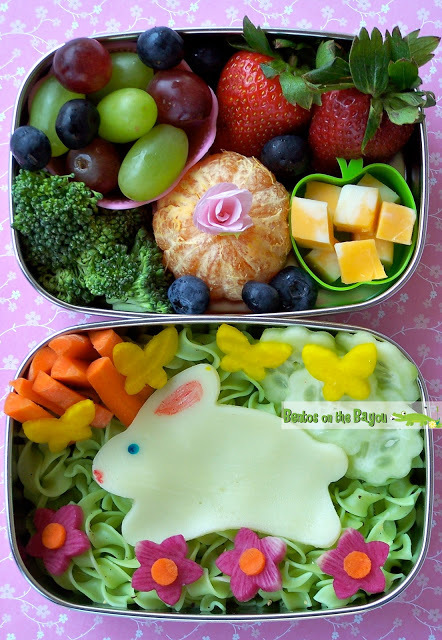 This entry was posted in Bento Lunches, kidspired and tagged bento lunches, bunny, chicks, easter, Easter Bento, Easter lunches, eat healthy, fun food, play with your food, spring. Bookmark the permalink.